If you’ve decided on a pet cat, you might be wondering if it’s better to go for one cat or two (or more!). There are advantages and disadvantages to both single and multi cat households and how you decide will depend largely on your personal family circumstances. To help you make the decision we’ll examine why having more than one cat can be beneficial but also take a look at some of the difficulties it could bring, and the best ways to deal with them. The main reason cats make great pets is that they’re happy being left while their owners go out to work. However for a solitary cat this could be quite lonely, and if you will be out a lot, consider two cats because they can keep each other company and play. If your cat will have free access to the outdoors via a cat flap, this is less important but certainly indoor cats can become lonely or bored without a playmate. 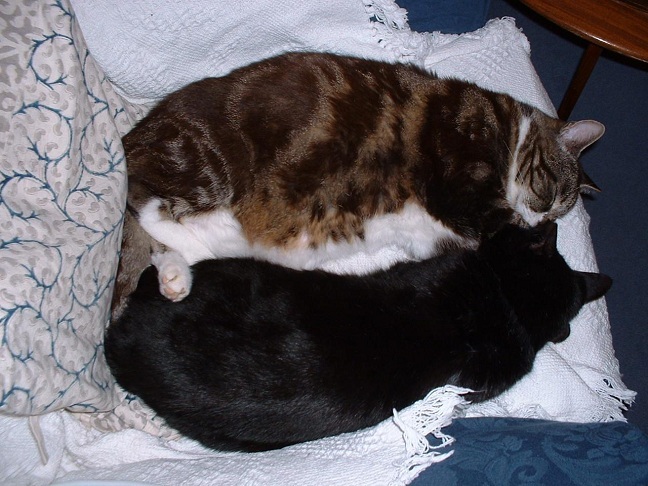 Cats often appreciate the company of other cats more and more as they get older and you will notice just how much when you see them cuddled up together. Cats who are part of a multi cat household are often happier and more confident, meaning they are less likely to exhibit behavioural problems. Solitary cats who do show signs of behavioural problems are often doing so out of boredom or frustration. Cats who live together often look out for each other. A friend told me that, when one of her cats got lost, she found him by following the other cat! The missing cat had become trapped inside a neighbour’s house who had gone away without realising. It’s easy to think of cats as solitary but they often have a bond which is far stronger than you might expect if you’ve never owned multiple cats before. The main challenge of having two cats is that it does mean more expense, although if you have two cats do shop around for insurance providers who offer discounts for multiple pets as this can help save you some money. You’ll also find you have twice as much cat hair to clean up and, here is the really expensive part, twice as many vet bills. Even if you have insurance, it usually doesn’t cover vaccinations or dental problems and those can be expensive, especially for two cats, not to mention the excess payments on things which are covered. You should ideally take a close look at your finances and ensure you can afford two cats before taking them on. Finally, it’s usually easier to bring home two cats at the same time, for example cats from the same litter who already get along with each other. 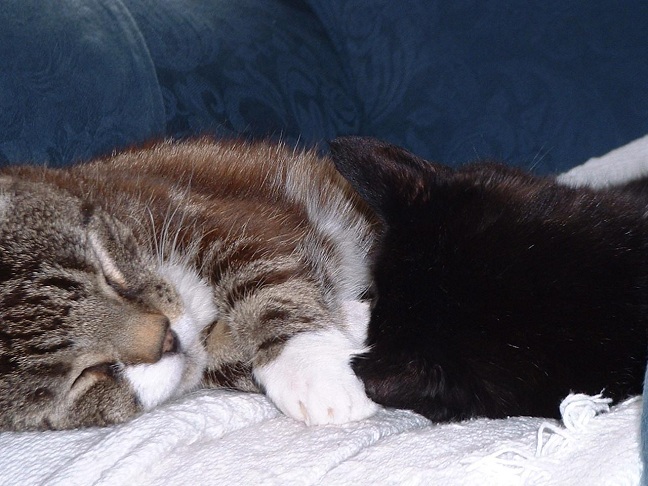 It is possible to add an additional cat to your household but this can upset the routine of any existing cats leading to fights or behavioural difficulties, so please read the following article about helping cats handle change http://www.momtastic.com/pets/171899-helping-cats-handle-change and take things very slowly to help the cats get used to each other.